Most online dating sites provide either a free trial, or a free registration with limited features. The sites listed on this page are just a few examples of the thousands of sites providing some sort of free access. For specific types of sites, please review the dating tags on the A Greater Date homepage. Shy Passions is a free dating site for shy singles. Join for free and take advantage of free email, chat, forums and more. Passions Network is a free social networking site designed to allow you to meet others who share your interests. Singles Online Personals-The Online Personals Site for Singles! Join for free and browse through profiles of people just like you...or maybe even a little cuter. Photo personals with 2-way video chat. Join for Free! Women can join for FREE. Oh yeah, men can too. Fast, fun, & anonymous! Romance, dating, chat & more! Join Free to view profiles & photos. Site aimed at age 50 and up. Free to sign up! One of the largest sites focused on spanish speaking individuals. Join for Free! Prayer partner, bible study partner, pen pal, or more? Apply for your Free Match report. 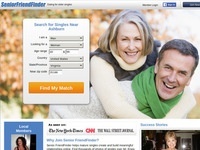 Matchmaker for singles, soulmates & penpals, with over 6 Million matches in 6 years.